I am sorry we are currenlty holding a waiting list for new patients to join the practice so the registration links below are not accessible for the time being . Please contact the practice by phone if you would like to be added to the list on 017687 72096. You can join our practice in person, on line or over the phone. We initially would like you to join our Denplan Essentials scheme. This entitles you to your initial examination, any x-rays necessary and your first visit to our hygienist at no further cost. Once the paperwork has been completed we will book you an initial examination appointment. At your initial examination appointment your dentist will carry out a thorough check of your mouth and advise you of any potential problems with your teeth or mouth and discuss your treatment options. Any treatment necessary during this first course of treatment would be charged for separately, with a 10% discount for Denplan Essential Members. A copy of these treatment charges will be given to you to take away. Once all necessary treatment has been carried out and you are “dentally fit” we then ask you to change your registration to Denplan Care. Your dentist will be able to advise you which Denplan Care band is appropriate for yourself. Please note that in return for your free examination, x-rays, hygiene visit and 10% discount off treatment we request you stay with us for a minimum of 6 months. If you cancel before this time there will be an early cancellation fee equivalent to the afore-mentioned savings. I hope this information has been of some help and that our registration scheme will be suitable for you. If you have any questions or queries please contact a member of the reception team either by phone on 017687 72096 or in writing to the above address. 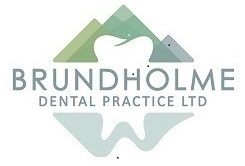 Thank you for choosing Brundholme Dental Practice Ltd.